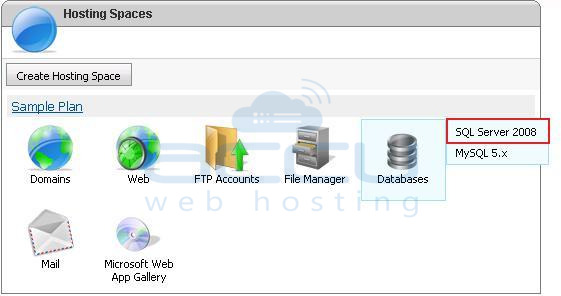 How to take MSSQL database backup from WebsitePanel? We strongly recommend you to take the backup of your database on regular basis. Select the database type SQL Server 2008. Click on the database name for which you want to generate the backup e.g. accu_test_DB. Expand the Maintenance Tools option, click on Backup button. Backup File Name: You can specify the name of the backup file. Backup Options: If you want the backup of the database in ZIP format then check this option otherwise leave it unchecked. Backup Destination: If you want to download the backup in your local system then select the option 'Download via HTTP'. If you want to download the backup in the hosting space then select the second option 'Copy to Folder', here you have to select the path where you want to download the backup. After selecting the required options, click on the Backup button. How to add/edit MX records from WebsitePanel? How to restore MSSQL database backup from WebsitePanel? How to install WordPress from WebsitePanel?